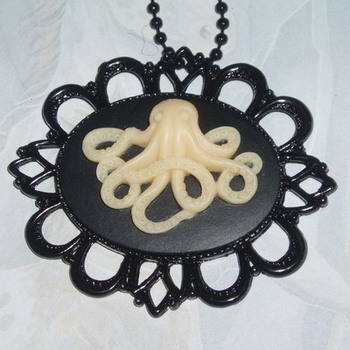 Beautiful fimo Octopus cabochon, 40x30mm, cream white octopus over a black background, mounted in a black filigree setting, with a 16" black ball chain. 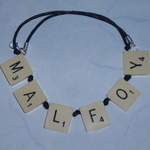 Can also be supplied on 18", 20" or 24" silver plated chains or 24" or 30" gunmetal plated chains. You choose. This is a modern twist on a Victorian Steampunk theme.